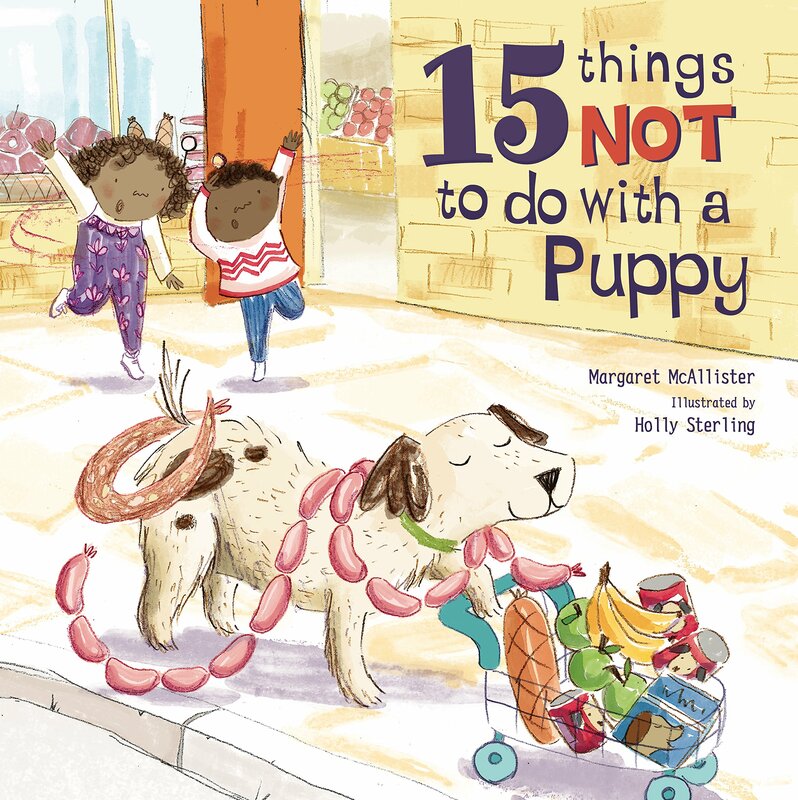 15 things not to do with a puppy, Margaret McAllister, illus. Holly Sterling, London: Lincoln, hb. 978 1 7860 3047 4, 2018, £11.99, 24pp. The usual approach is to provide the young owner with instruction, always appropriate and with a nicely balanced serious tone. Margaret McAllister takes a rather different line. Here, in keeping with her previous titles dealing with babies and with grandmas, she makes the young reader laugh as she suggests hang gliding is not a good thing to do with a puppy, nor playing the tuba. These are clearly ridiculous – but interspersed with such nonsensical ideas as real advice – don’t try to take your puppy for a walk when it has gone to sleep perhaps. There are also plenty of “do’s” involving cuddling, feeding and exercising. McAllister’s lively tone is perfectly matched by Holly Sterling’s illustrations with which every child will identify. Her children race, bounce and jump off the page together with their puppy until they collapse at the end. Her colours match the exuberance of her images, filling the pages without overwhelming them. The endpapers provide the reader with a variety of friendly puppies from which to choose a favourite. The text, direct and concise, is well placed and a joy to read. A charming book to share.